Key strategic sites have been identified for Licence Plate Recognition (LPR) and overview cameras in and around the MID area. Directly impacting on crime prevention and criminal apprehension as illustrated on March 28th. Currently the MID is following due diligence in reviewing quotations and workmanship. Focussing on quality to ensure long term sustainability of infrastructure support and effective maintenance planning. R100 000 is the MID’s starting investment in the Ward 64 control room initiative. 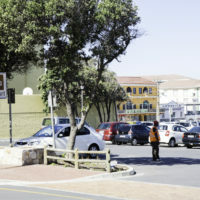 In the near future additional site assessments will be conducted to identify where additional CCTV cameras may aid in community safety and security. Councillor Kuhl also confirmed that Ward funding has been released and quotations received. The only delay in the process has been procurement due to hardware availability. This should however be resolved by the end of April. The MID LPR cameras will be in place by the end of May if not sooner. This update was sharded with members at an AGM follow up meeting on March 27th as per the request made at the MID AGM in November. Have any questions about how LPR and CCTV assists with crime prevention, apprehension and prosecution? Then click on Lakeside Community Watch to read their detailed Q & A.